Sarah Houghton married Cornelius Schovner. Mercy Richardson married Joseph Woodcock Jr in Mar 15, 1776 at Attleboro, Bristol Co., MA, USA. Joseph Woodcock Jr married Mercy Richardson, daughter of Francis Richardson and Sarah Houghton, in Mar 15, 1776 at Attleboro, Bristol Co., MA, USA. George Frederick Houghton married Beverly Wilding for 39 years. George Frederick Houghton married Jonyca Mckinney. Alma Cecilia Shew married Joseph Bartles in May 14, 1868 at Brooklyn, Kings Co., NY, USA. Alma Cecilia Shew and Joseph Bartles were divorced in Oct, 1883. Catherine Deveraux married John Houghton. Jonyca Mckinney married George Frederick Houghton, son of George Leslie Houghton and Eva Holiday. (?) Christianson married Inez Houghton, daughter of Seth Houghton and Laura A. Leach. 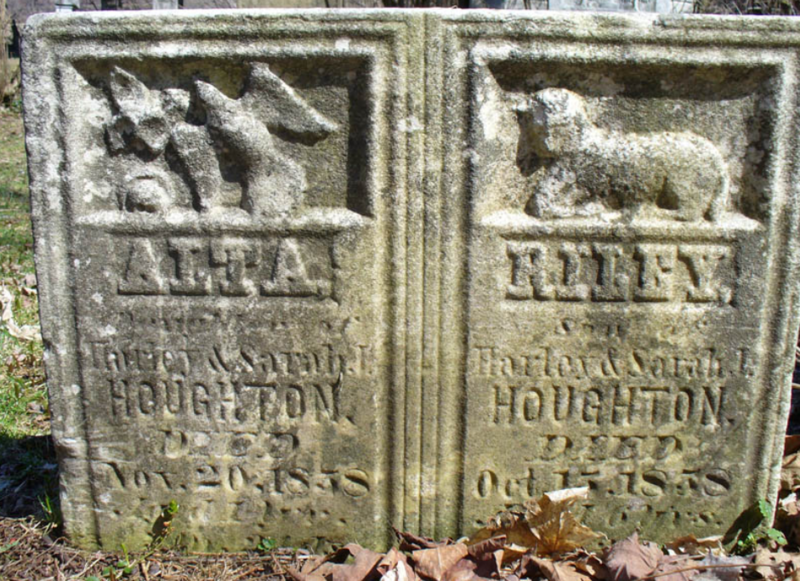 Lillian Holliday married George Leslie Houghton, son of Seth Houghton and Laura A. Leach. 1820 Census 1820 Jackson Twp, Tioga Co., PA, USA, 6 people: three males under age ten (b. 1811-20), one male of age twenty six and under age forty five (b. 1776-94), one female under age ten (b. 1811-20), and one female of age twenty six and under age forty five (b. 1776-94).